Not just One Box. Or Two Boxes. Or, even Three Boxes of Cookies. No, it seemed, I had All The Girl Scout Cookies Ever Baked sitting in My Box. Because, apparently, despite My Annual Girl Scout Cookie Dependency Issues, I Never Learn. That's right. It is Girl Scout Cookie Season and just as I do Every Single Stupid Year, I find myself ordering One Million Boxes. The kids approach me at The Beginning Of February and they have their Sales Pitch Down. I am convinced if they were selling drugs on the playground, they would all be Millionaires. And I would be their Drunk, Druggie, Drama Teacher doing A Court Ordered Stint In Rehab. Well, at least The Stint In Rehab Part is Farfetched. 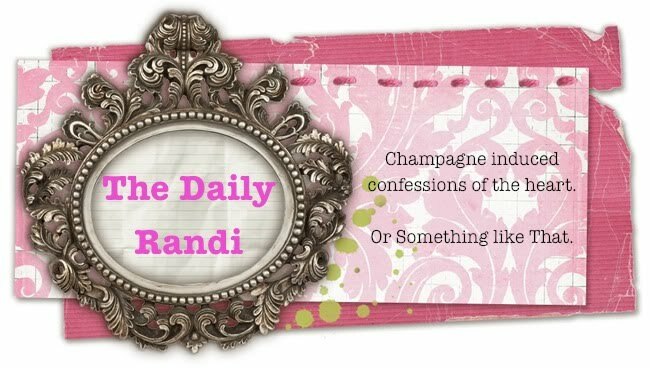 "Miss The Daily Randi, Miss The Daily Randi, Miss The Daily Randi!!! Please buy a box from me? Puhhhhhhllleeeeeze!!!" I try to Resist with Excuses like, "Miss The Daily Randi's 36th Birthday is coming up which means Her Metabolism Will be Slowing Down soon due to The Female Aging Process. I am So Sorry, but She Can't Eat The Cookies anymore!" And: "I hope you all have Hall Passes." But, they Chase Me Down, Shaking Their Forms, Finally Cornering Me Near The Water Fountain. "Last year, you really liked those Lemon Coolers!" one girl shouts. "They are Low Fat." "You don't have to pay right away!" says another kid. "Well, My Mom Says I can give you One Box Free. 'Cause you're My Teacher and All," tries one other. "You are Too Skinny anyhow, Miss The Daily Randi," adds another. "My Mom Says." Damn. Too Thin. Awesome. Apparently, That Kid was The Closer. And it continues like that All First Week Of February Long. By the end, they have me Wrapped Around Their Tiny, Evil, Girl Scout Fingers and I have purchased One Million Boxes. Then, of course, The Denial Stage Commences. For Three Full Weeks, I forget all about The One Million Boxes Of Girl Scout Cookies I Foolishly Ordered and Didn't Have To Pay For Right Away. "Cookies? What Cookies?" I think. Until The Cookies are Delivered. And placed in My Box at school. And Totally, Reluctantly, Against My Better Judgment brought Home. So, now, as I Write This Column, there is A Box of Thin Mints Staring Me Down. Right next to My Computer. Over There. I supposed I should Move The Box. But, I am afraid if I Touch The Cookie Paraphernalia, I might Relapse and Accidentally Open The Cookie Box and Devour The Entire Cookie Thing and it was My Birthday yesterday so I had Not One, but Two Delicious Cupcakes From Sprinkles for Dinner and I am thinking that Moving or Touching The Box Of Girl Scout Cookies In Any Way, Shape, Or Form might be A Very, Very Bad Idea. According to My Cookie Sponsor.